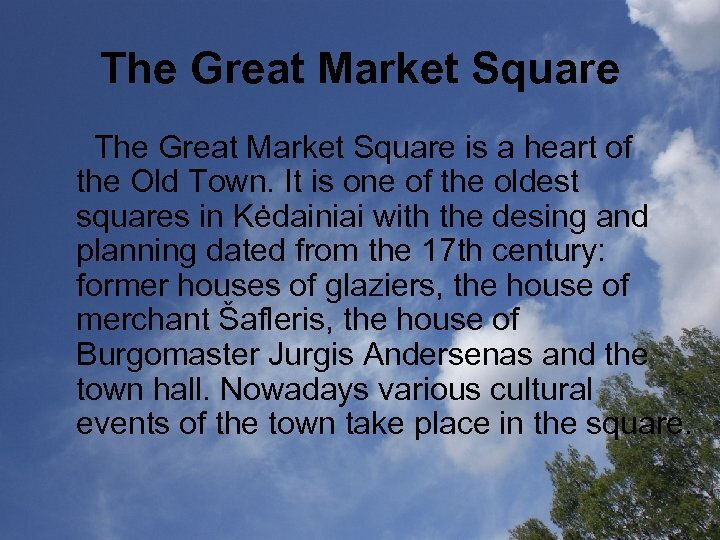 The Great Market Square is a heart of the Old Town. 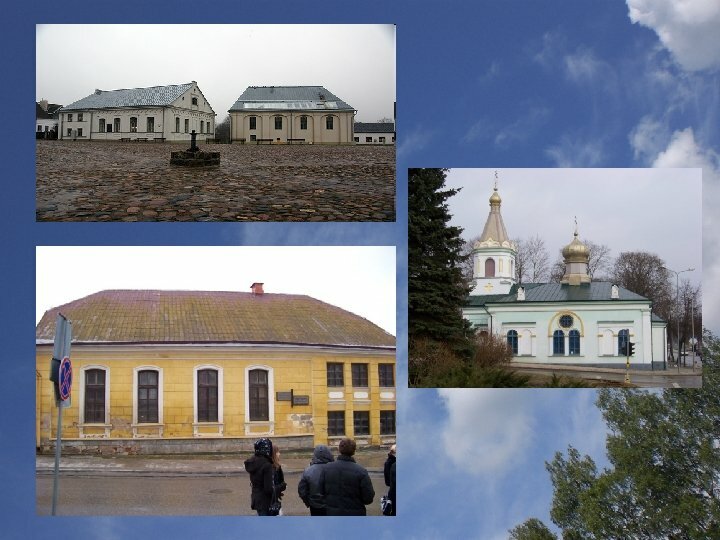 It is one of the oldest squares in Kėdainiai with the desing and planning dated from the 17 th century: former houses of glaziers, the house of merchant Šafleris, the house of Burgomaster Jurgis Andersenas and the town hall. 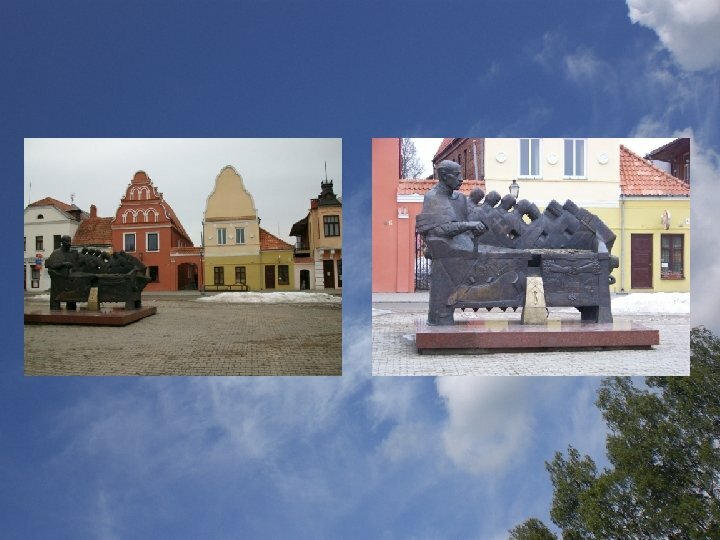 Nowadays various cultural events of the town take place in the square. Town hall In Didžiosios rinkos Square one can admire one of the three surviving 17 th c. Renaissance town halls in Lithuania (1653). It is a two-storeyed stone house of the angular design. 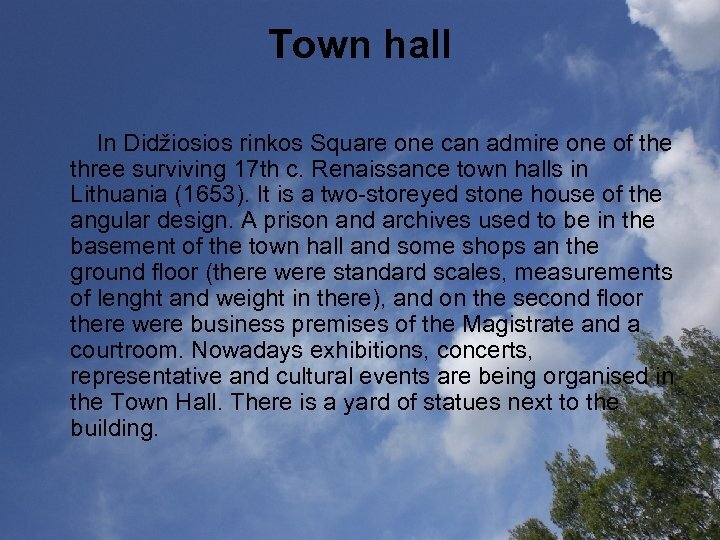 A prison and archives used to be in the basement of the town hall and some shops an the ground floor (there were standard scales, measurements of lenght and weight in there), and on the second floor there were business premises of the Magistrate and a courtroom. 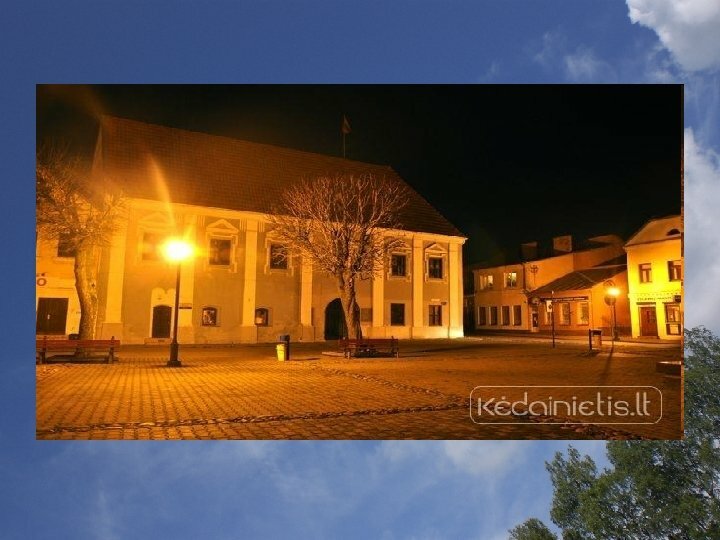 Nowadays exhibitions, concerts, representative and cultural events are being organised in the Town Hall. There is a yard of statues next to the building. 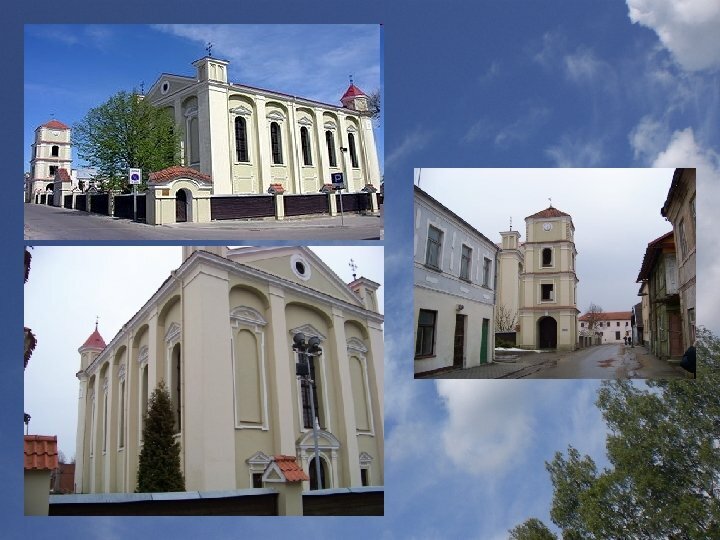 The Evangelical –Lutheran Church (XVII th c. ) The single-nave Evangelical-Lutheran church and small chapels are in Vokiečiu Street. An original 17 th century mural remained in the church. The Apostles Peter and Paul, the Evangelists John, Luke, Matthew, and Morgues are portrayed in the murals. 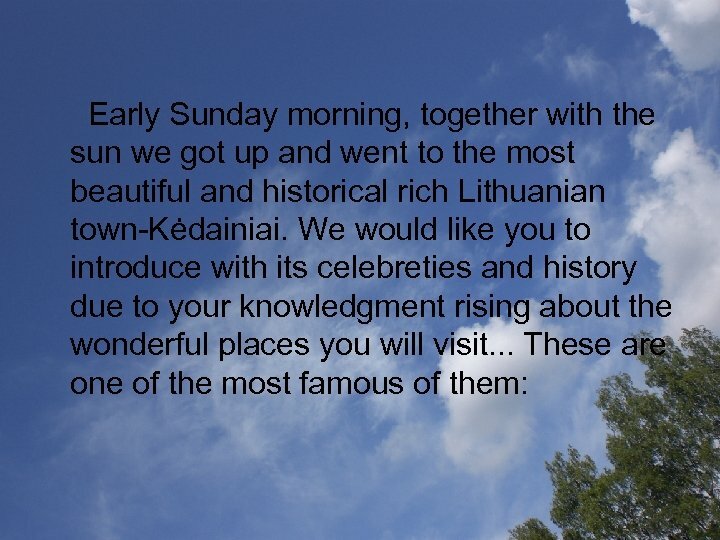 Famous 17 th century Kėdainiai citizens are buried in the Evangelical-Lutheran churchyard. 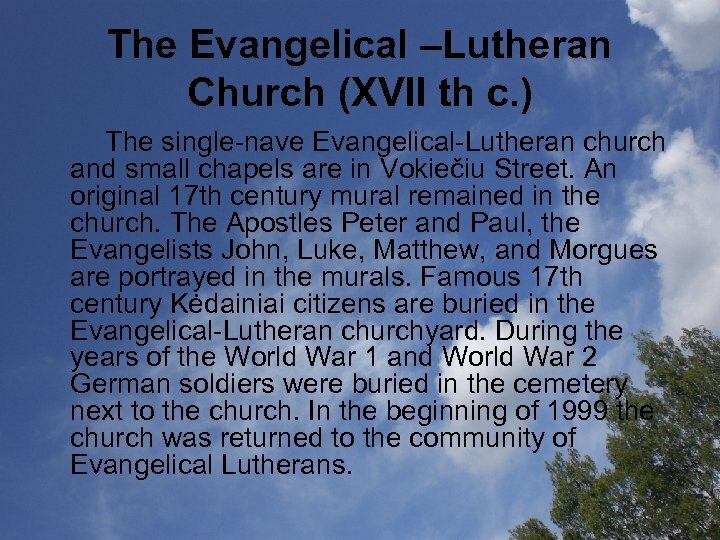 During the years of the World War 1 and World War 2 German soldiers were buried in the cemetery next to the church. 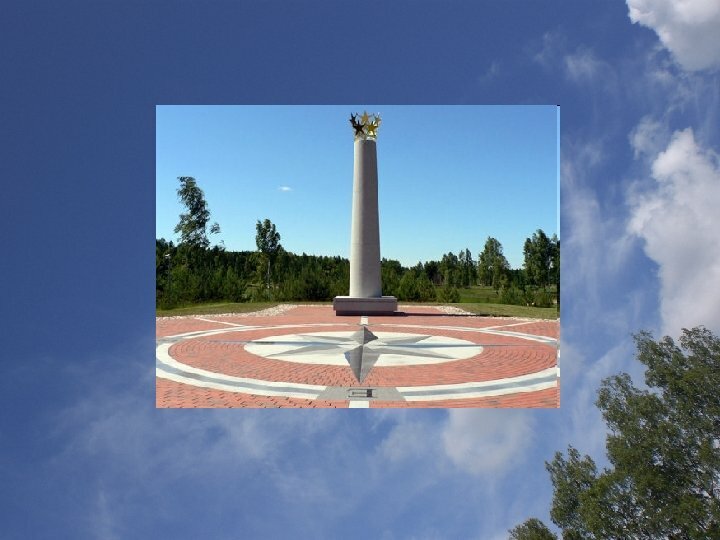 In the beginning of 1999 the church was returned to the community of Evangelical Lutherans. 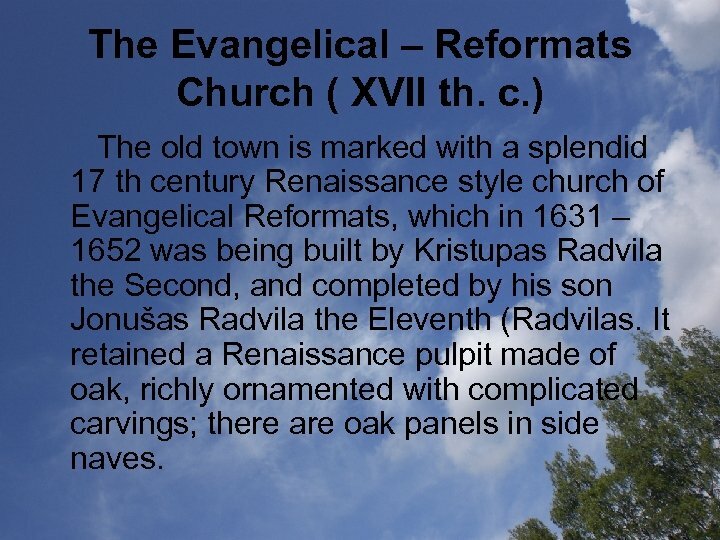 The Evangelical – Reformats Church ( XVII th. 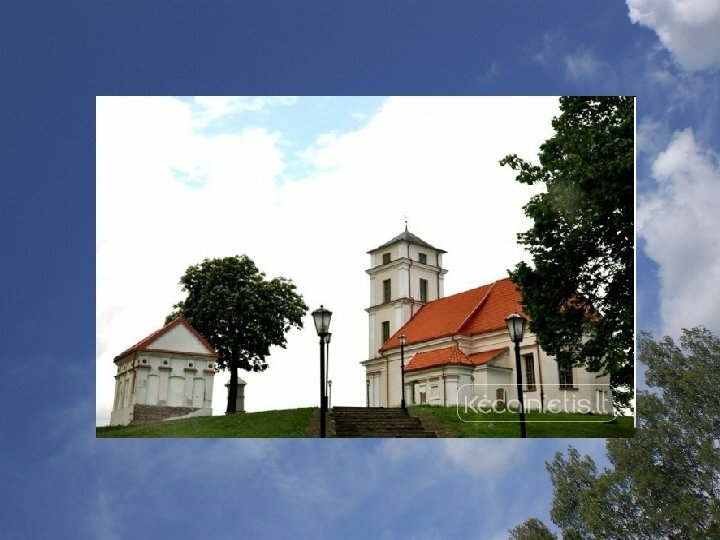 c. ) The old town is marked with a splendid 17 th century Renaissance style church of Evangelical Reformats, which in 1631 – 1652 was being built by Kristupas Radvila the Second, and completed by his son Jonušas Radvila the Eleventh (Radvilas. It retained a Renaissance pulpit made of oak, richly ornamented with complicated carvings; there are oak panels in side naves. Synagogue (XIX th c. ) The synagogue was built in the middle of the 19 th century. 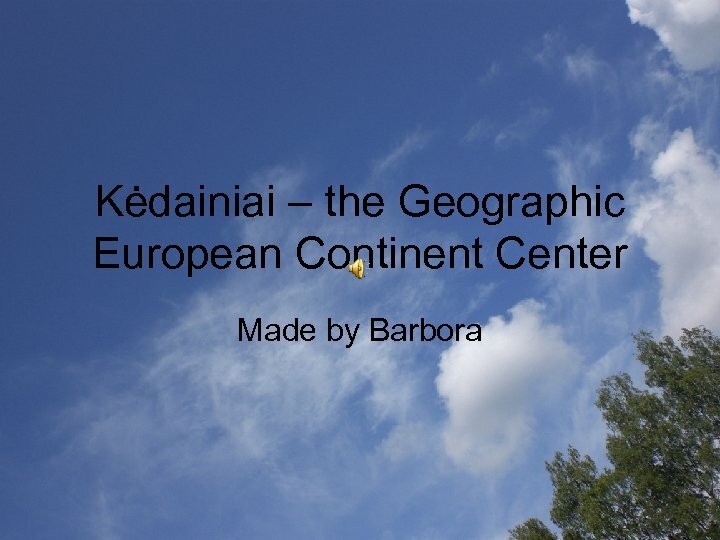 It was raised by the richest tailor of the town I. Vilneris. It is a two-storeyed building. 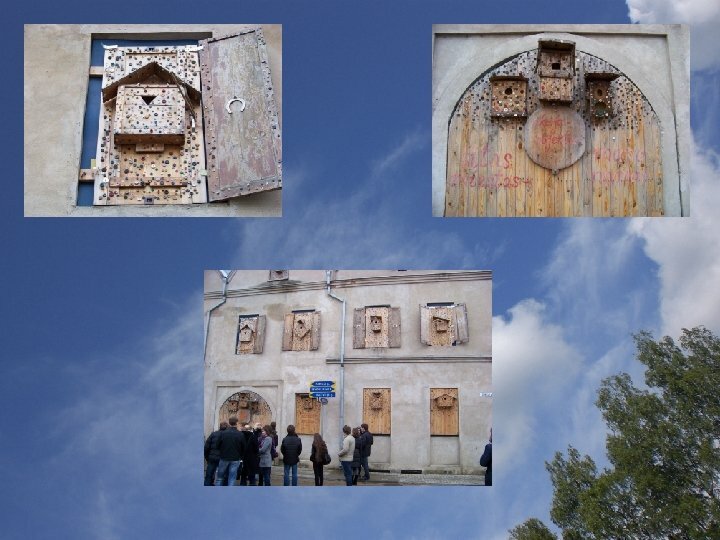 Men would pray on the ground floor and women on the first floor. 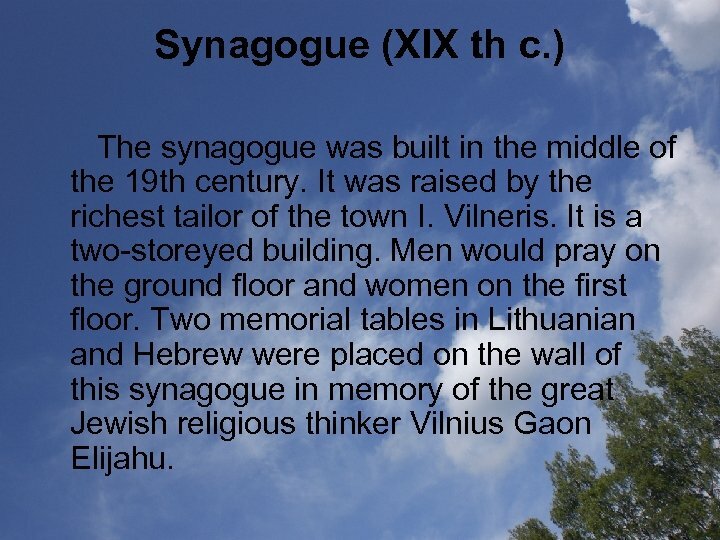 Two memorial tables in Lithuanian and Hebrew were placed on the wall of this synagogue in memory of the great Jewish religious thinker Vilnius Gaon Elijahu. 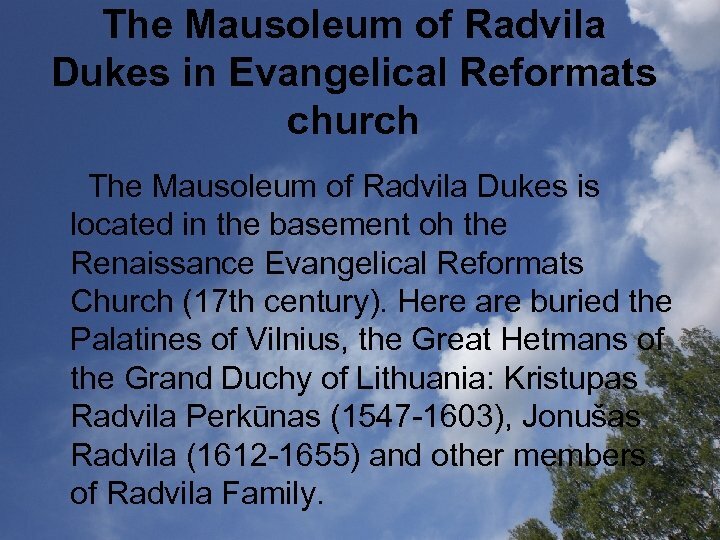 The Mausoleum of Radvila Dukes in Evangelical Reformats church The Mausoleum of Radvila Dukes is located in the basement oh the Renaissance Evangelical Reformats Church (17 th century). 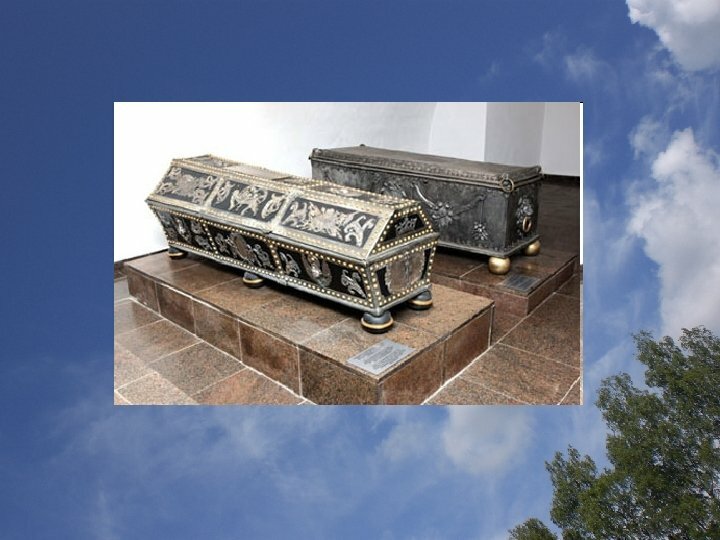 Here are buried the Palatines of Vilnius, the Great Hetmans of the Grand Duchy of Lithuania: Kristupas Radvila Perkūnas (1547 -1603), Jonušas Radvila (1612 -1655) and other members of Radvila Family. The Kėdainiai Regional Museum was founded in 1921 and is one of the oldest in Lithuania. 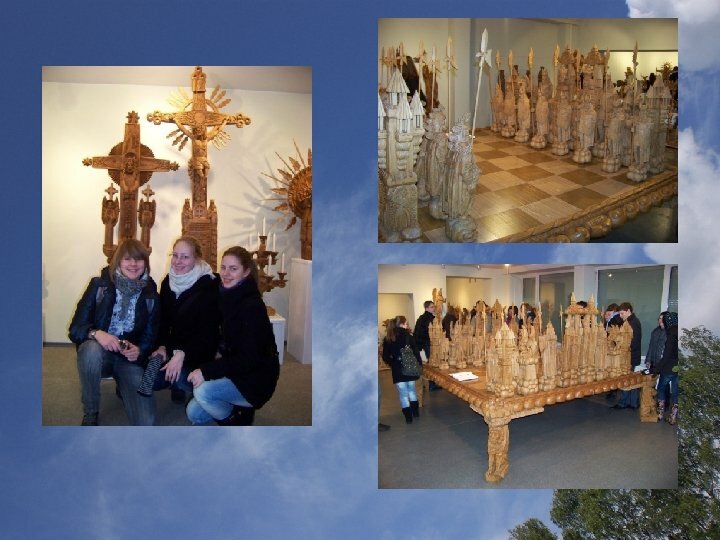 The main unique exhibits: portraits of the Kėdainiai rulers, set of furniture made of antlers from the mansion of Apytalaukis, unique crosses, made by the folk artist V. Svirskis and his disciple M. Gurskis are displayed in the exposition halls. The Geographic Center of European continent In 1989, scientists of National Geographic Institute of France gave the description of the European geographic centre and, applying the scientific method of gravitation centres, appointed that this centre is located in the North from Vilnius (26 km), near Purnuskes village(almost in Kėdainiai).